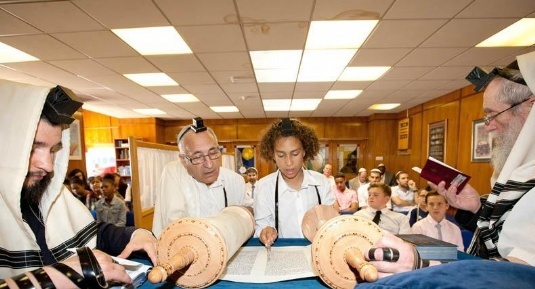 A Lubavitch connection lasting over 35 years led to an emotional Bar Mitzvah at Chabad of Ilford's Gan Israel Summer Camp. Drew Thompson celebrated his Bar-Mitzvah at a weekday ceremony which was incorporated into the camp day at Chabad Gan Izzy Ilford Summer Scheme in an emotional and moving service followed by dancing with all the campers. 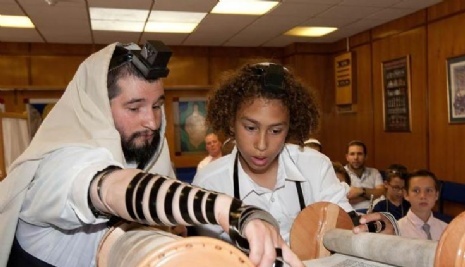 Delilah, Drew’s mother was a student at the Lubavitch Girls High School in London 35 years ago and throughout the time since then has stayed in touch with Rabbi Shmuel Lew, who was proud to be able to participate in the Bar-Mitzvah.